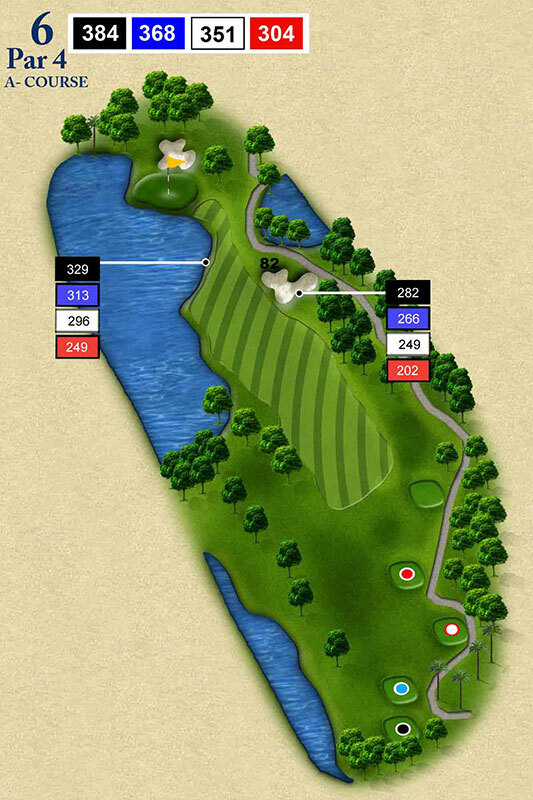 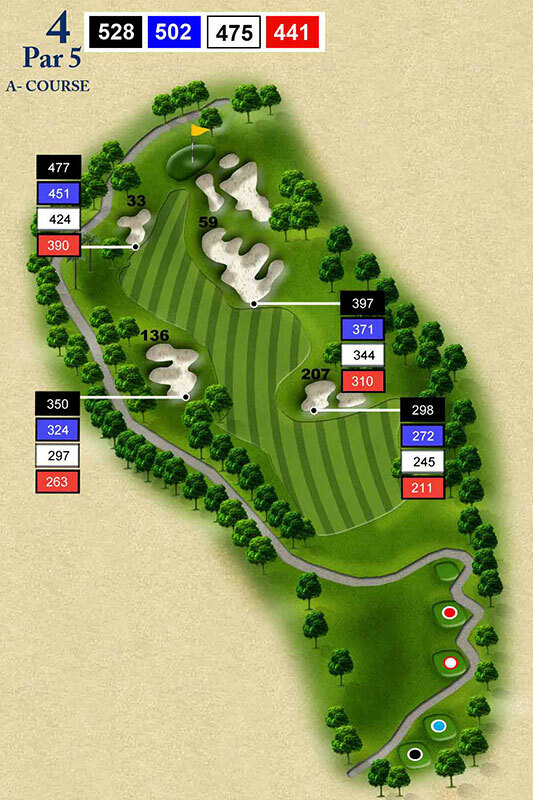 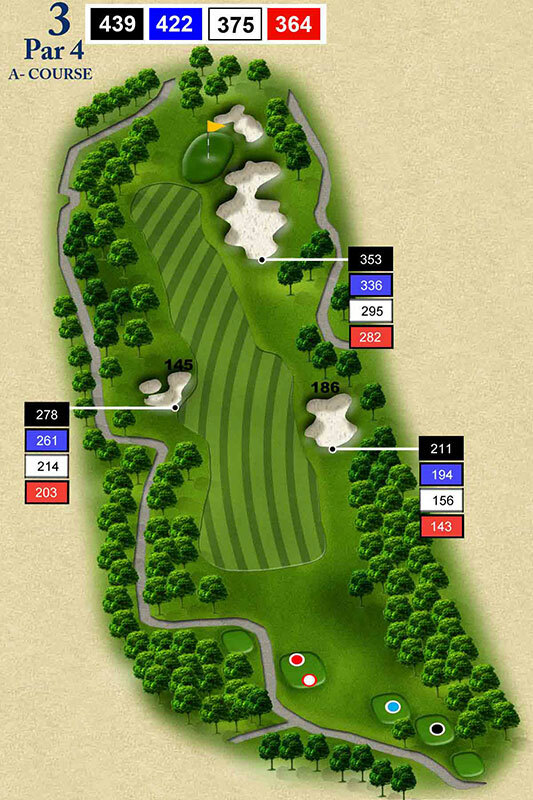 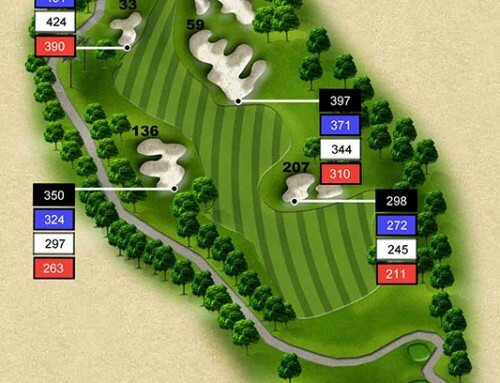 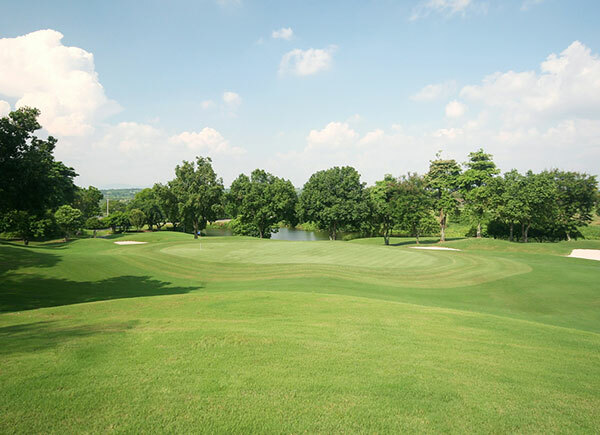 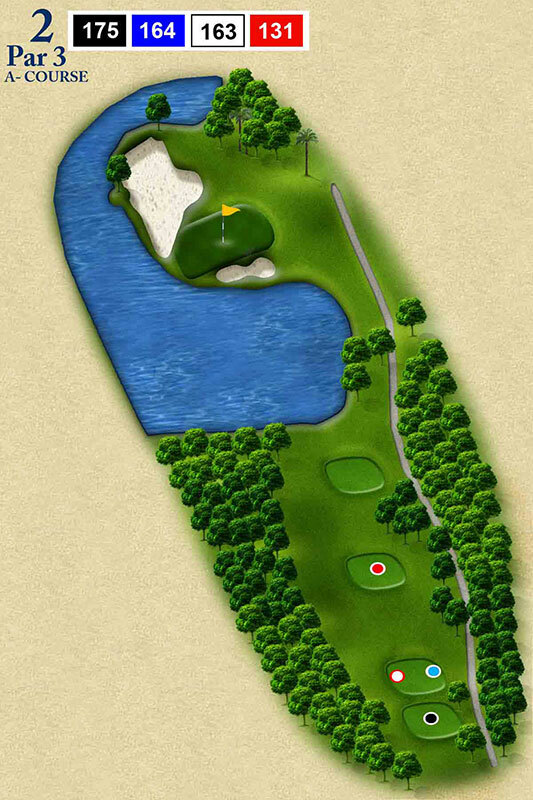 #3A A good tee shot here for the stronger would be the long fade to hold the right edge of the fairway. 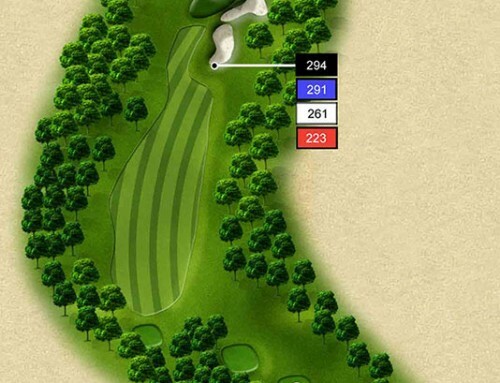 This will result in a shorter, more level shot to the green that should hold on the putting surface better. 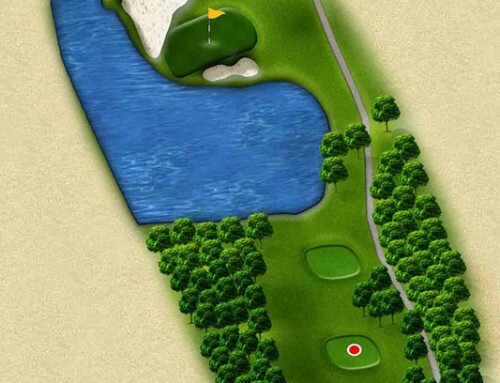 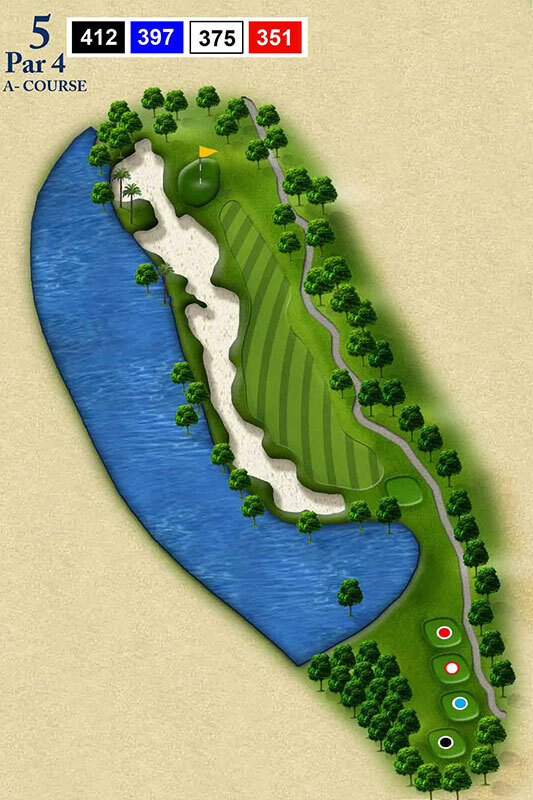 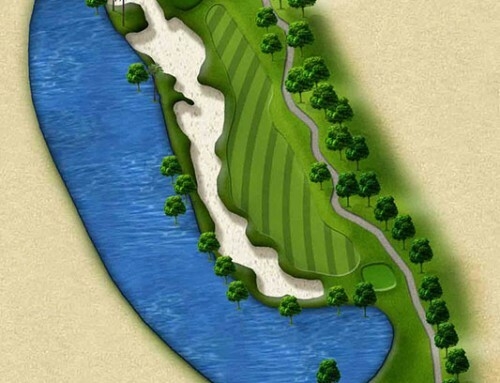 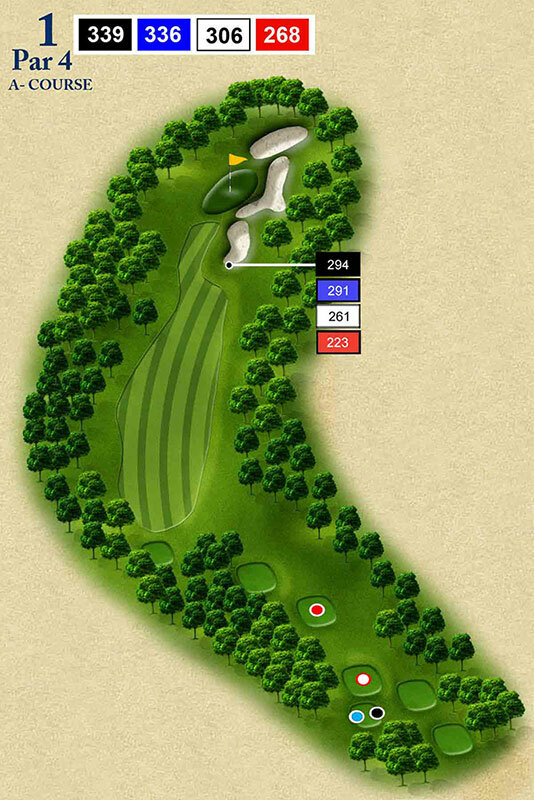 For most playes, keeping the drive to the left will leave a more open angle between the greenside bunkers.